Immigrant Day 2016 was a beautiful success. We would like to thank all of those who traveled near and far to participate. As an organization we were represented by over 35 faith leaders from various parts of California, had 21 legislative visits and possibly turned one or two votes. Below are a few of the bills that were discussed during our legislative visits. AB 2792 TRUTH ACT The Truth Act will bring the truth about ICE’s practices to light and allow communities to craft policies for local needs. SB 10 Expand Healthcare to All Undocumented Californians. SB 1289 Stop the creation and renewal of certain for-profit immigration detention facilities and codify the currently unenforceable national immigration detention standards. SB 443 Asset Forfeiture Reform Bill will require that a defendant be convicted of an underlying crime before cash or property can be permanently forfeited under state law, and it will prevent CA law enforcement from receiving a share of federally forfeited assets unless there has been a conviction. 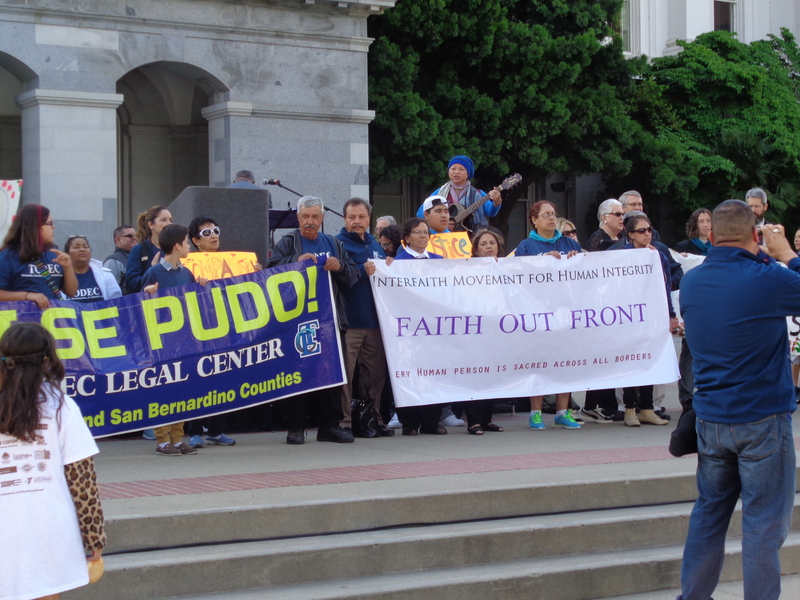 The Interfaith Movement for Human Integrity is committed to working with our legislators to advance policies that support fairness and full inclusion of all of our State’s residents. Our faith traditions teach us that the lives of all people are sacred and we are called to treat them as neighbors, family and friends. Greetings! Really helpful advice on this article! It is the small changes that make the largest changes.